UK based energy startup for batteries may open 25 person research and development here in Charlotte according to the Business Journal subscriber article. ""Charlotte may soon see its first tangible benefit from local interest in the energy-storage startup ZapGo Ltd. The U.K.-based company will decide by mid-month where to locate a 25-person U.S. research facility, and Charlotte is expected to get the nod. ZapGo is a member of the latest cohort of early-stage cleantech companies at the Joules Accelerator in Charlotte. It is designing a 350-kilowatt storage battery aimed at the fast-charging market for electric cars and trucks. The prototype for the third generation of the product will be built by Parker-Hanafin Grid Tie, which is based in Charlotte. Duke Energy Corp. (NYSE: DUK) is slated to test the project at is Mount Holly Research and Development Lab. UNC Charlotte’ Energy Production and Infrastructure Center will provide technical services."" Here is how NC ranks counties as Tiers 1, 2 and 3. 3 is the best off and that is what the large counties are like Mecklenburg, Wake etc. This article also talks about how the incentives benefit other parts of the state even when 100s of jobs come to Charlotte for example. 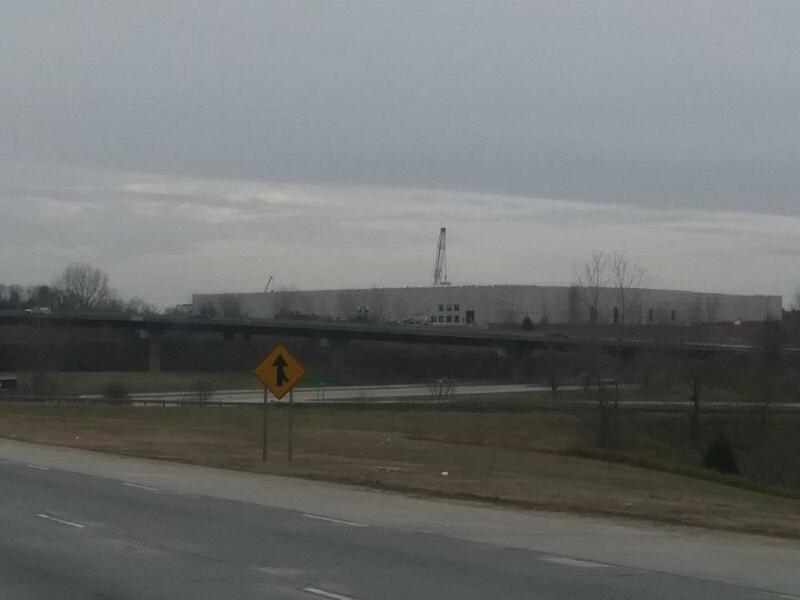 here are photos from today of Amazon's new 2.5 million sq ft warehouse by the airport. Its massive size is really starting to take shape. Photos from I-85 and I was not the driver this time. Major job announcements in the region: Corvid Technologies in Mooresville 367 jobs, Sonic Automotive in Gaston Co. 500 jobs Numerous manufacturing expansions in Gaston, Stanly Rowan Lincoln, Catawba, Cabarrus counties. This list does NOT include major employers expanding locally like our banks. Wells is continuing to grow here as evidenced by their taking more space and not giving up any. Our big banks don't herald job announcements but I would say they all growing here in Charlotte which in turn creates more space needs. Most new job announcements never make the papers or news due to their size and lack of incentives. But all this warehouse space around town is creating thousands of jobs but with many different companies. You don't absorb that kind of space without job expansion. Looking forward to what 2019 has to offer as with our low tax environment, great air connections, low cost of living compared to the NE and West coast we will continue to attract other companies. Just wait! thought this was interesting the Charlotte Chamber removed their sign and put up the new name. And just read a story in the Business Journal they have 5 solid candidates coming down this week I think to interview. I think we need new blood because the regional counties would be very suspicious of a Charlotte Chamber person leading this position. So I think a new person who will think regionally is good. Especially since they are going to try to get funding from Cabarrus Iredell Gaston Union and other counties around Charlotte Mecklenburg. Interesting article about Honeywell and their move here from recently released documents from the EDPNC, the states economic development agency. ""But public records submitted to the Charlotte Business Journal from the N.C. Department of Commerce late Wednesday suggest the five metro areas shortlisted for the 750-job relocation — Charlotte (as well as its metro area in South Carolina), Houston, Atlanta, and Tampa and Orlando, Florida — were fairly equal on things like cost of doing business, talent and infrastructure. Ultimately, the records indicate, incentives packages proved to be the tipping point in the company's final decision."" ""About 150 employees are expected to relocate from the company's current New Jersey headquarters over the next six months, and at least 100 employees will relocate from an existing Honeywell division in Fort Mill, with the remaining 500 to be hired locally. All 750 positions would be filled by the end of 2024, the company has previously said, and those targets are mentioned in several documents. The JDIG has a 12-year term; annual payments are made after verification that jobs and investment targets for each year have been met."" ""Other clues about Honeywell's real estate needs are indicated in a May 21 email from BLS & Co. to Chung. At that time, the expectation was that Honeywell sought about 237,500 square feet of space for its corporate headquarters and was "focused on suitable existing office facilities" that can be renovated. An overview of Project Bee says the company was considering locating its safety and productivity solutions business unit — the division based in Fort Mill currently — in a separate site from its global headquarters, although both would be in Mecklenburg County""
I can't remember where I originally saw this article. It might have been on UP, so sorry if it was, but here is a prediction I would like to throw out. In the next 3 years, Chase will start building a tower in Charlotte. Jamie Dimon stated the bank plans to move into top 50/75 markets they are not currently in. Looking at the image below, five of those cities are in the Carolinas, with Charlotte being one of the largest cities nationwide they are not currently in. In fact, Charlotte is the fourth largest market they are not currently in. It makes complete sense to open a regional office in Uptown. 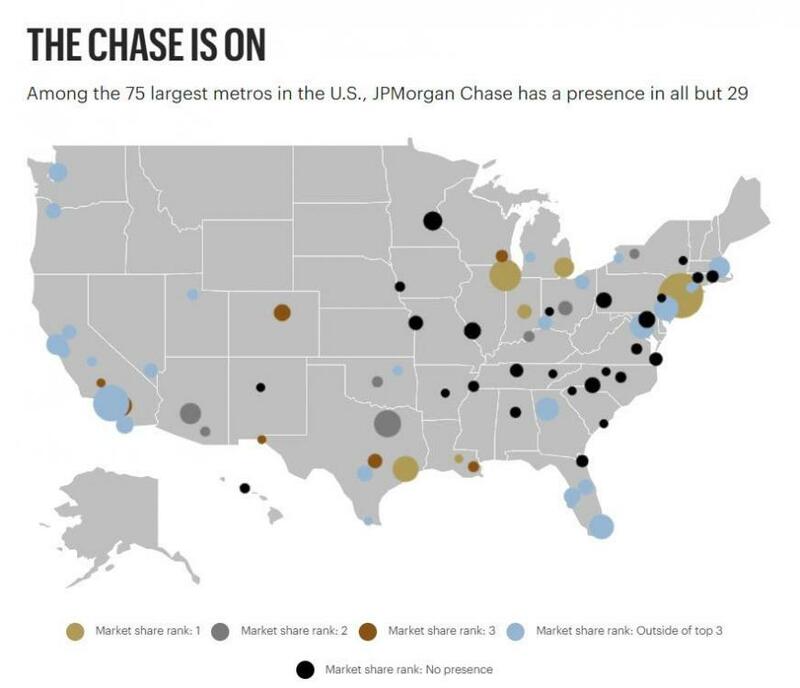 The talent is there, the rent is affordable, and it is a hub for one of the largest concentrations in the US where Chase does not currently have a presence (the Carolinas). Mr. Dimon, we would welcome you and a new tower with open arms. We only request that you give us something slightly more thoughtful than Bank of America's Legacy Union. So....they have opened in a new tower, at Capitol Towers in South Park. That article is specifically referring to branch banks, do not necessarily driving the need for more office space, but as they build out their Carolinas retail network they might need to have a regional leadership team, but I don't see it driving major office expansion. ...but, Morgan Stanley is rumored to be looking for a lower cost market to move some mid/back office jobs, and I would think Charlotte is on that list. MS is the only major bank that hasn't moved 1000s of back office jobs out of NY area. Didn't know about Capitol Towers. Good to know! As far as the tower, I was thinking something similar to what FNB is doing; having regional leadership (to support retail branches and local mid-market lending) in a tower with visibility. I could also see them doing something like what Regions did. Either way, good to know they are moving into Charlotte. Let's hope Morgan Stanley see the light in Charlotte! Thanks for sharing your insights! Major textile holding company rebrands itself as Elevate Textiles announces new corporate headquarters will be in Charlotte. Probably not a huge number of jobs and this is private company as of now but it does have quite the global reach. They operate on 6 continents! Poor Triad is seeing so many of their companies move the top leadership. LOL would you want to live there if you are top leadership? If you want to fly anywhere you have to connect. Almost no restaurant scene and tiny town culture. RDU area at least provides some of the elements that CEO types would enjoy. Triad is a very difficult region to attract top talent to. No I wouldn't. They just haven't gotten many wins lately and I'm sure it is discouraging. I like Winston-Salem and think it punches above its weight as a small city. Well not quite true. National General Insurance is adding 600 plus jobs in Winston which is HUGE for that city and Greensboro continues to grow just much slower than Raleigh Durham or Charlotte. their aerospace cluster by PTI airport is growing with companies such as HondaJet, FedEx, HAECO an aerospace company etc. Much more manufacturing in that area that is growing. Despite losing the HQ of VF to Denver they still have the same amount of people working in Gboro with the spinoff company now called Kontoor that makes the jeans and moving execs in from Kansas City. Most of the back office staff with VF remained in Gboro. The area is growing but much slower than the 2 bigger metros in the state. Plus Publix is opening a mega distribution center east of Gboro employing 1000 including bakery jobs. PS they have the Best highway freeway system in the state. 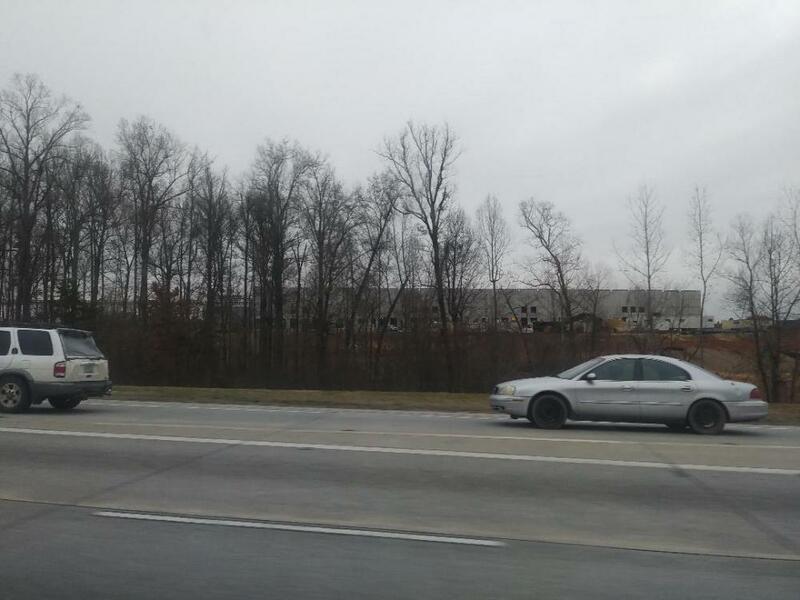 Greensboro has I-85,40, 840,73, and I-785. Nearby is I-74 in High Point. I-840 is almost complete. Guilford County has more interstate highways than any county in the state! ""On Elevate's decision to locate in Charlotte, Sides said, "Charlotte provides a central metropolitan area that allows Elevate Textiles to maintain its headquarters and roots in North Carolina, is easily accessible by both the Mt. Holly and Greensboro offices and provides good access to financial and other resources beneficial for a global headquarters." ""Elevate Textiles spokeswoman Delores Sides told Triad Business Journal that the company's decision to locate its headquarters in Charlotte will have a minimal impact on Greensboro jobs – either through layoffs or transfers to Charlotte."" Good for Brad and Iredell County. ""NASCAR driver Brad Keselowski used his own money to open a $10 million advanced manufacturing facility in Statesville that’s designed to be the “factory of the future” to combine emerging production systems with current methods. Keselowski dedicated Keselowski Advanced Manufacturing adjacent to the Statesville Regional Airport on Thursday There, the staff of 100 will eventually make metal parts using both 3-D printing techniques and traditional computerized numerical control (CNC) machines to quickly and efficiently serve customers in defense, health care, automotive and, oh, yes, racing. "" already 45 employees working in his own building that used to house his truck team. 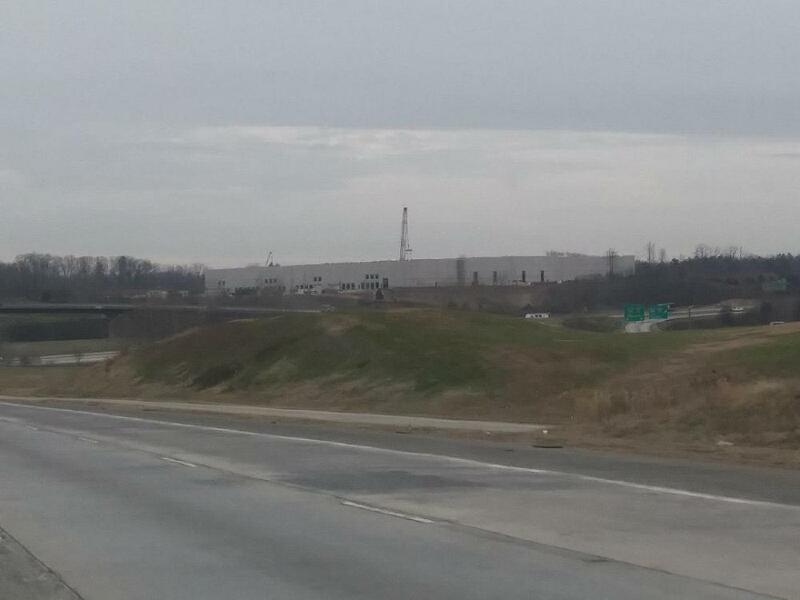 According to the article above, the old Philip Morris plant grounds will become another megasite in NC’s inventory of megasites once all the buildings are demolished. Hopefully when Chris Chung says that the Philip Morris site will become another premier megasite in NC, it will be featured on the EDPNC page along with the Greensboro-Randolph site and the Chatham-Siler City site, and will be marketed by the state to automotive companies with all the same fervor the two above sites are. I personally think that once the old cigarette plant and distribution buildings are gone it will be the best site in the state for an automotive assembly plant. It already has all the infrastructure such as an onsite substation, multiple rail spurs, and presumably a good sewer system. It is also zoned for heavy industrial. Plus it is closer to the interstate than any other megasite in the in NC. I thought the fact that it didn’t have interstate frontage would end up being a downside, but in that regard it is on par with every other megasite in the state (to be fair the other two sites mentioned above are very close to 421 which is nearly a freeway SE of Greensboro). Furthermore we have a considerable amount of automotive knowledge in the area with all the NASCAR teams, and at my last check, we had about 3000 workers that had been furloughed from the area’s Freightliner plants. Between NASCAR workers and furloughed Freightliner workers, I’d say we pretty much have a ready made workforce for an automotive assembly plant. Finally I think we already have a decent base of automotive suppliers in the area due to the Freightliner plants and the BMW plant in GSP. Positives: They highlighted the Rail Trail, which if done right can become one of, if not the first place you take an out-of-towner. Negatives: The presentation did not mention the impending UNCC building uptown, which brings 1,000s a day. I feel like that was a missed opportunity. Random: The fact they quoted the Honeywell CEO so prominently in the presentation, all but assures me they will be in South End or Uptown. The most surprising stat in that report was that only 25% of South End residents work in Uptown. See first item. Pretty exciting. Yup, and the $120 million price is not as daunting as it looks. It sounds like the Belk College has secured a significant portion of that amount in donations for the building. Many people pick SouthEnd for the lifestyle and access to amenities on the weekend, rather than proximity to work. I'd say a majority of my friends that live in SouthEnd work in the airport office parks, Arrowood, Steele Creek, Ballantyne / Indian Land, Fort Mill, South Park, University City, etc... but then again my friend group isn't largely bank people so it is probably skewed. 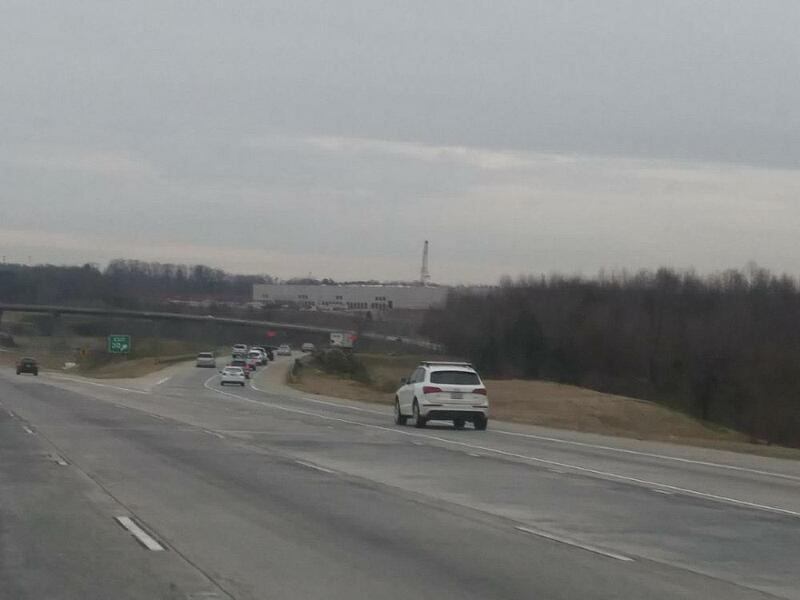 I even have friends that live in SouthEnd and commute up I-77 to office parks in Huntersville and Davidson. If you are 25 and work at a place like Charter Cable, Sealed Air, Ingersoll Rand, LFL, etc.. living in SouthEnd is desirable to being around your peers and it is interstate close for getting to a lot of these suburban office parks pretty quickly.